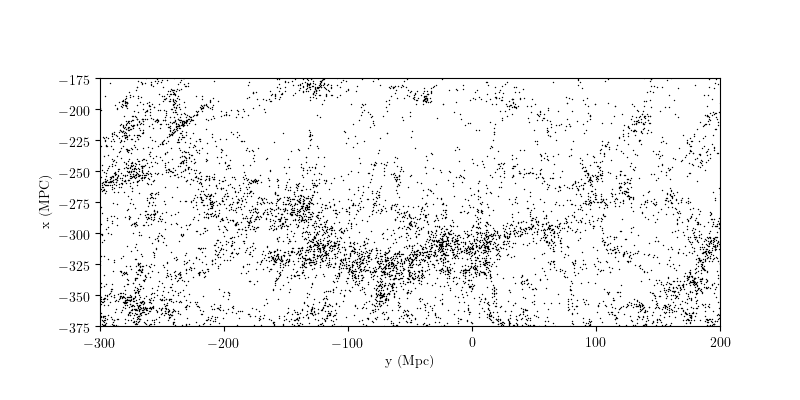 The total size of the data sets is in the hundreds of megabytes, too large to be bundled with the astroML source distribution. 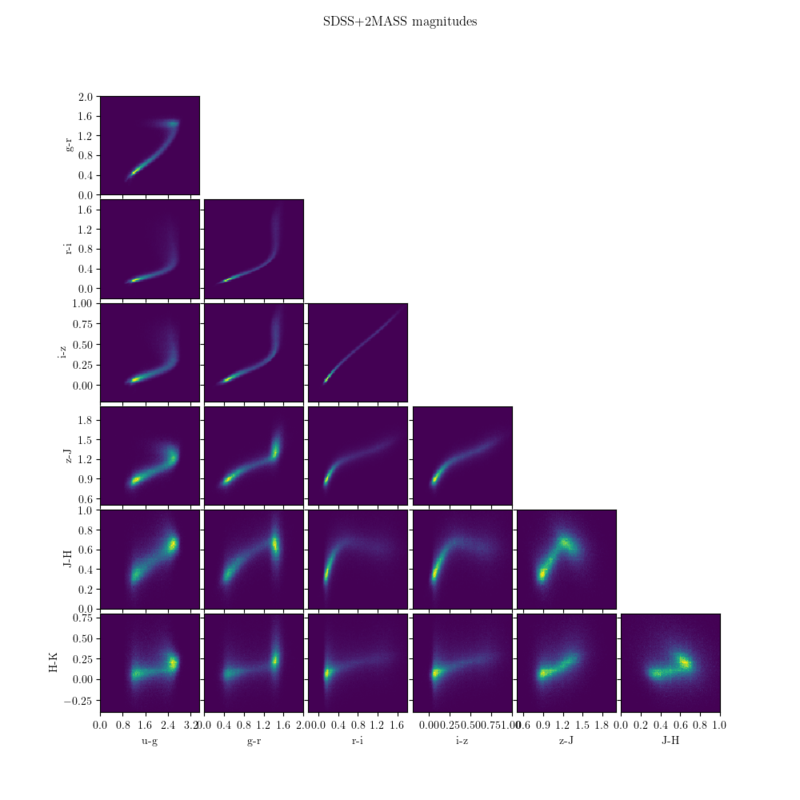 To make working with data sets more convenient, astroML contains routines which download the data from their locations on the web, and cache the results to disk for future use. 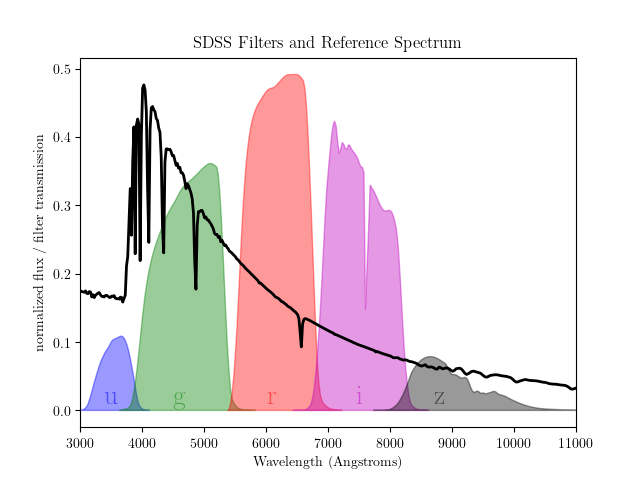 For example, the fetch_sdss_spectrum() function retrieves a data file from the SDSS data server. The file is stored to disk in a location that can be defined by the user. 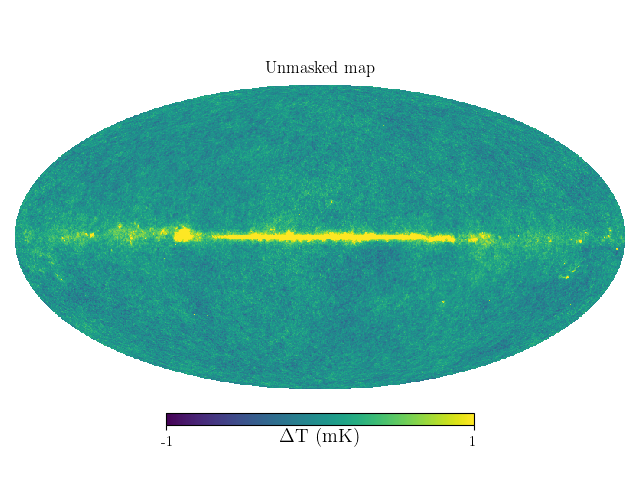 The default location is ~/astroML_data, and this default can be overridden by setting the ASTROML_DATA environment variable. Any subsequent time the same function is called, the cached version of the data is used automatically. 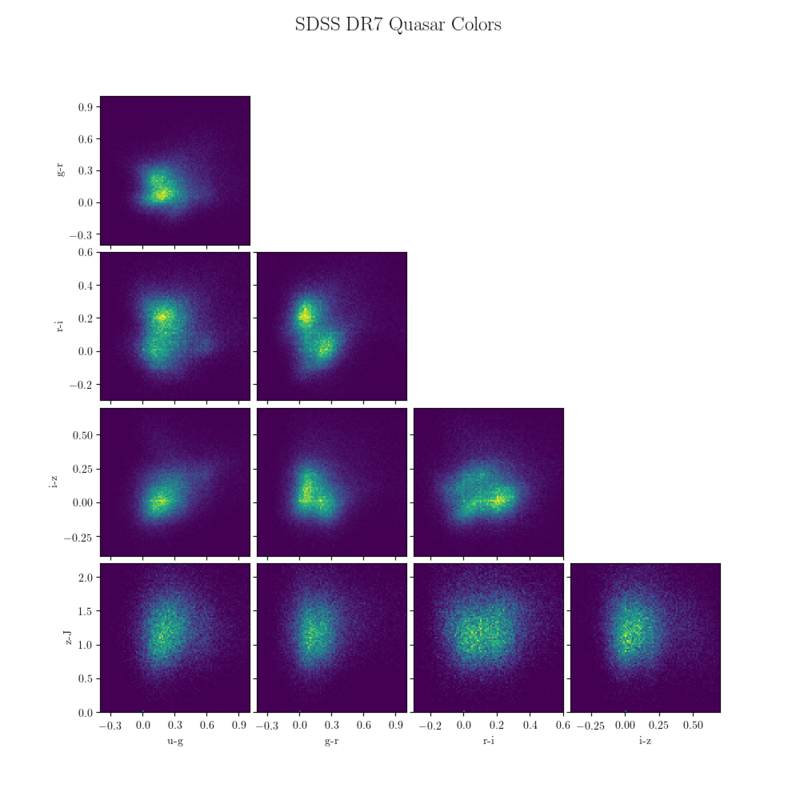 Much of the data made available by astroML comes from the Sloan Digital Sky Survey (SDSS), a decade-plus photometric and spectroscopic survey at the Apache Point Observatory in New Mexico. The survey obtained photometry for hundreds of millions of stars, quasars, and galaxies, and spectra for several million of these objects. 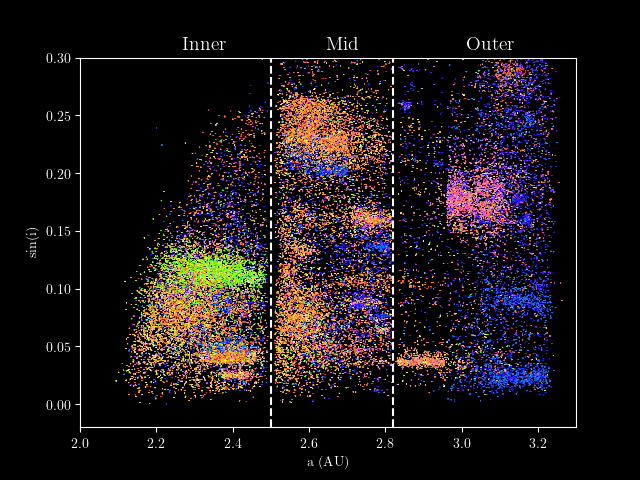 In addition, the second phase of the survey performed repeated imaging over a small portion of the sky, called Stripe 82, enabling the study of the time-variation of many objects. 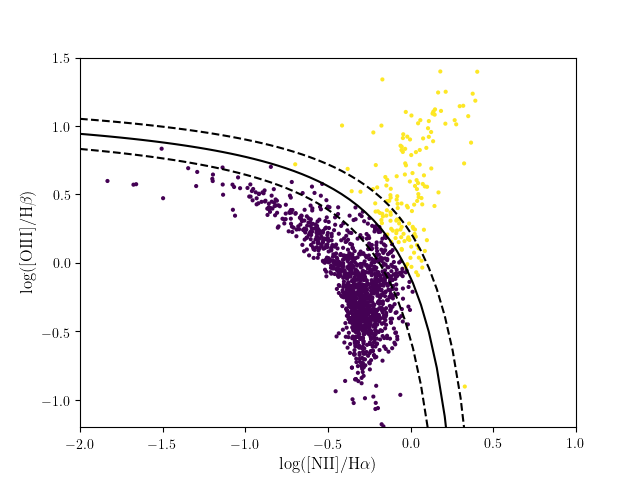 As with all figures in this documentation, clicking on the image will link to a page showing the source code used to download the data and plot the result. 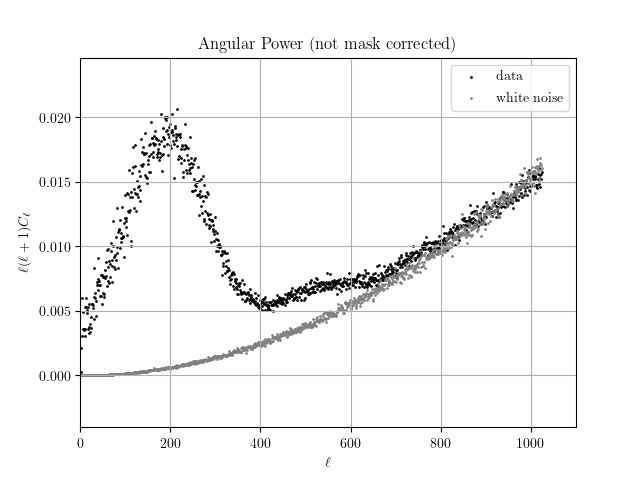 These data are used in several of the example figures from Chapter 7: Dimensionality and its Reduction. 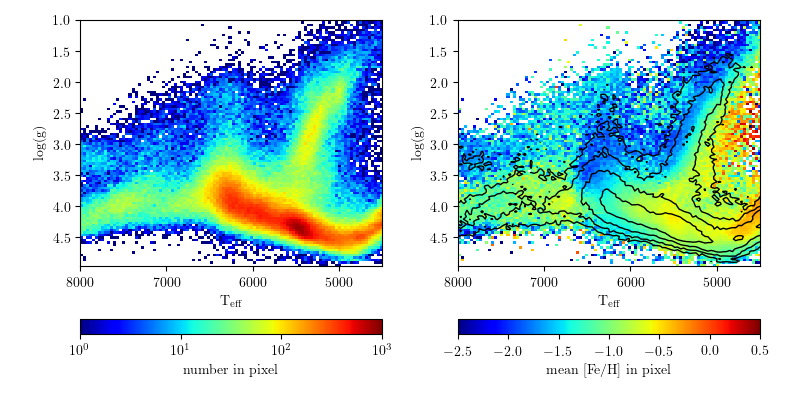 The left panel shows the density of point on the temperature / log(g) plot. 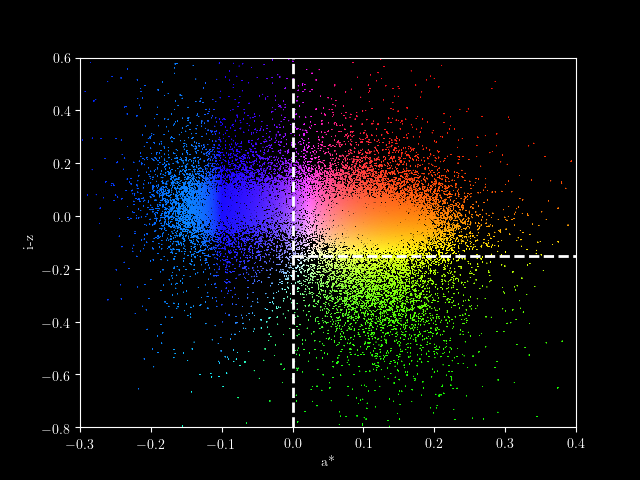 These parameters correlate with the familiar HR diagram based on photometric colors. 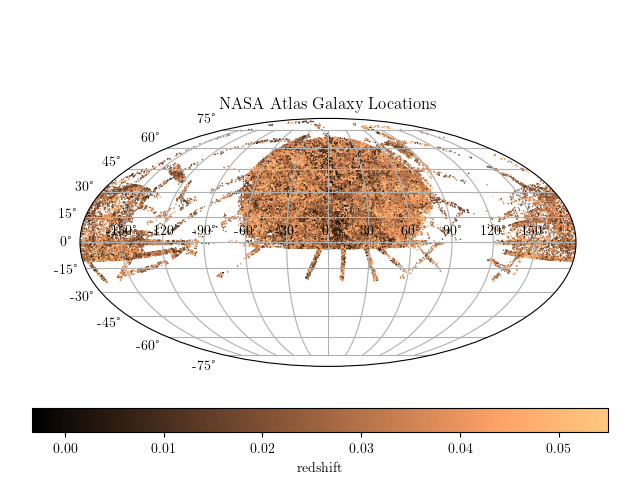 The right panel shows the average metallicity in each pixel, and the contours indicate the density of points. 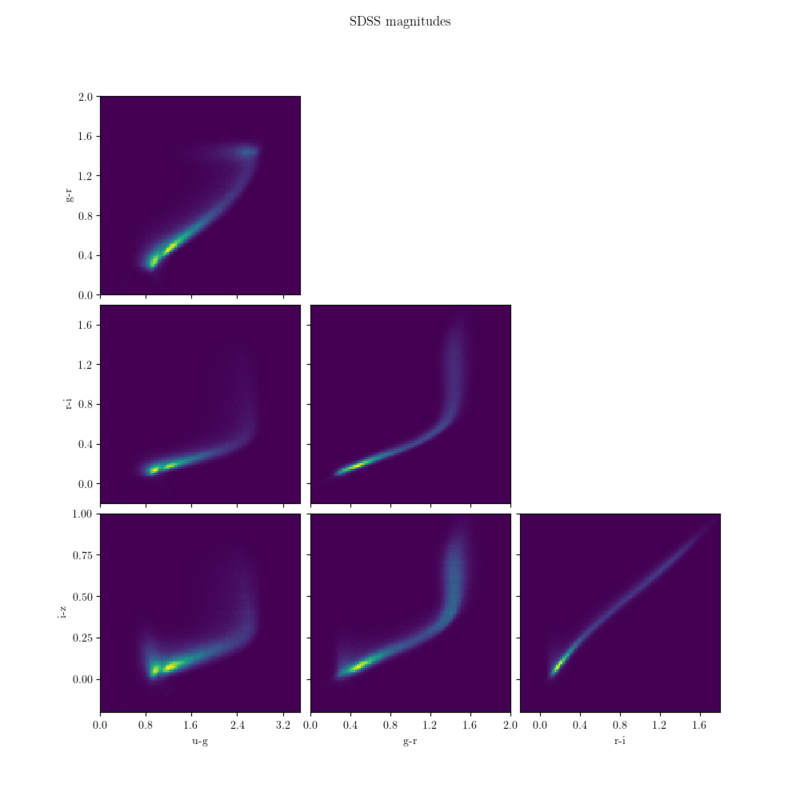 Many more attributes are available in the SSPP data set; see the fetch_sdss_sspp() documentation for details. 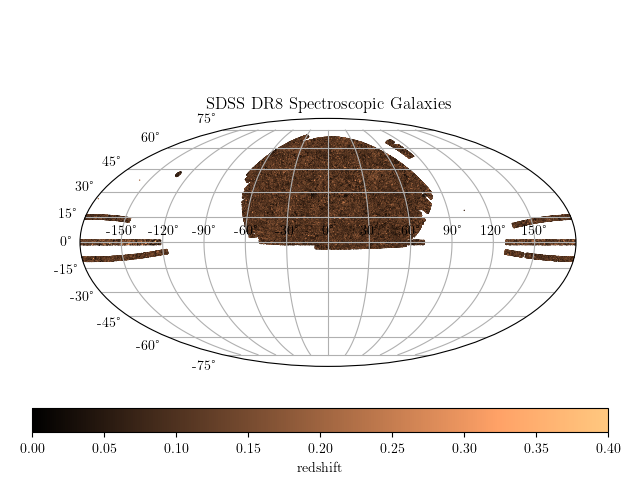 During the second phase of the SDSS, the project repeatedly surveyed a small swath of sky known as Stripe 82 . 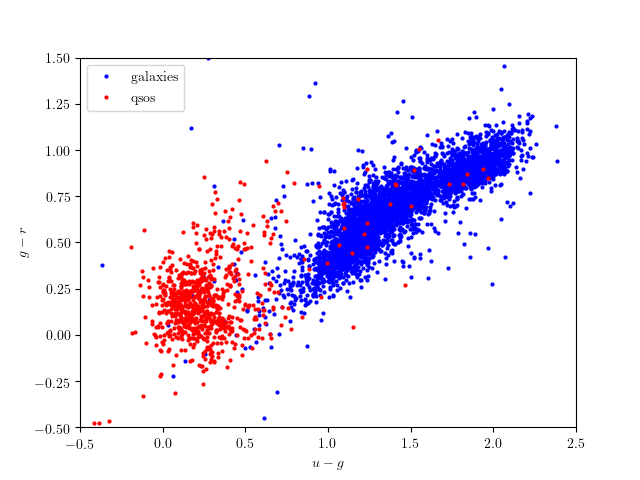 This yielded an unprecedented set of data in the time domain, which yielded insight into phenomena as wide-ranging as the orbits of asteroids, the variability of certain classes of stars, and the acceleration of the expansion of the universe. 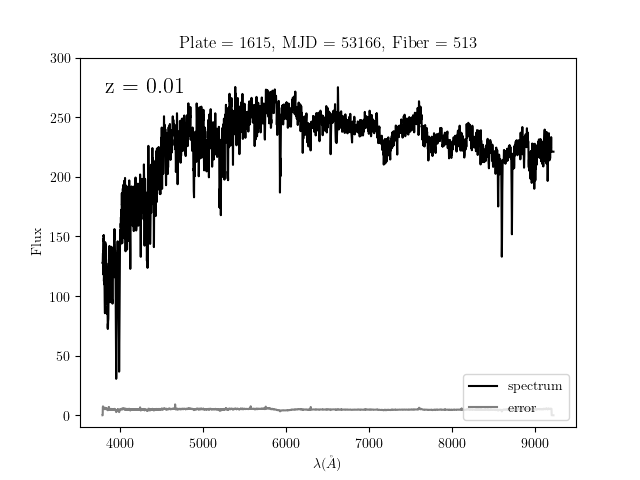 astroML contains two datasets based on Stripe 82 data: one containing observations of RR-Lyrae stars, and one containing observations of moving objects (i.e. asteroids) within the solar system. 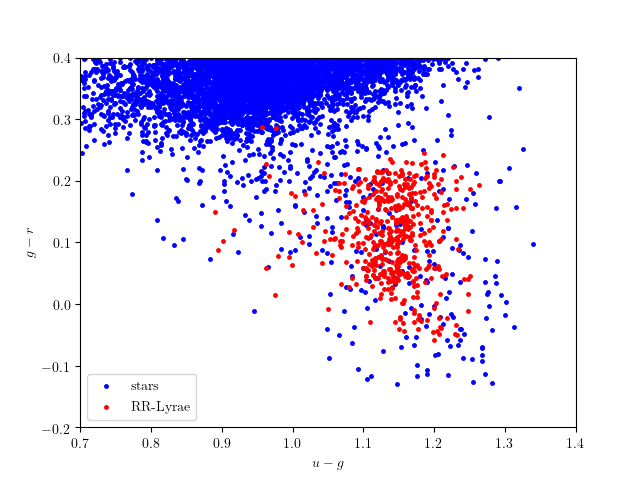 The dashed line is the RR Lyrae template; the grey lines show the reconstruction with 1, 3, and 8 Fourier modes. The Lincoln Near Earth Asteroid Research (LINEAR) project, in existance since 1998, is designed to discover and track near-earth asteroids. 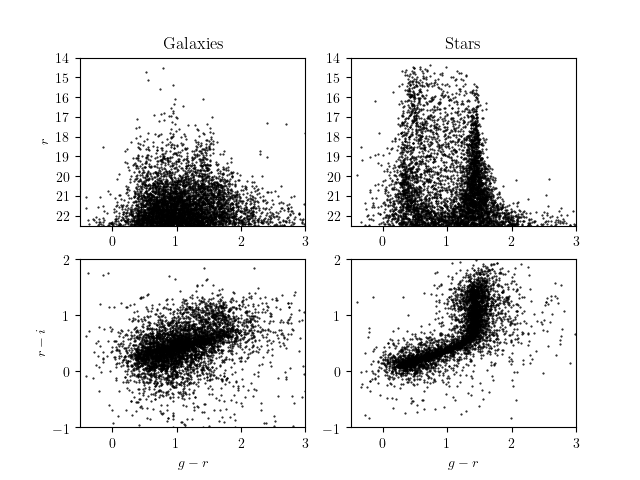 Its archive contains several million images of the sky, and its combination of sensitivity and sky coverage has made it a valuable resource to study time-domain astronomy, including variable stars. 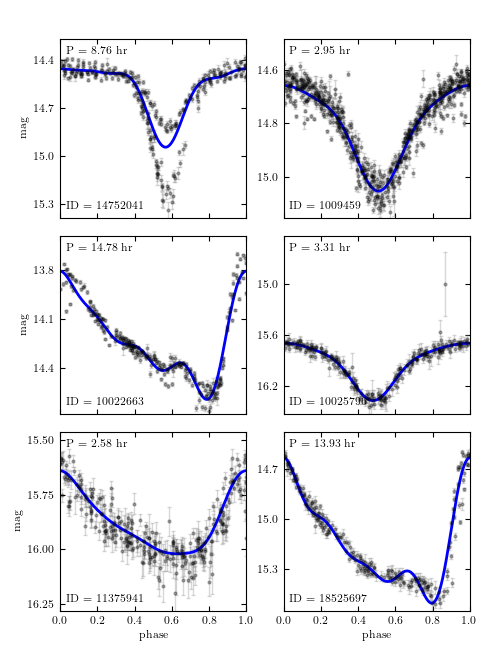 astroML has two functions relating to the LINEAR sample: fetch_LINEAR_sample() fetches light curves for over 7000 variable stars. 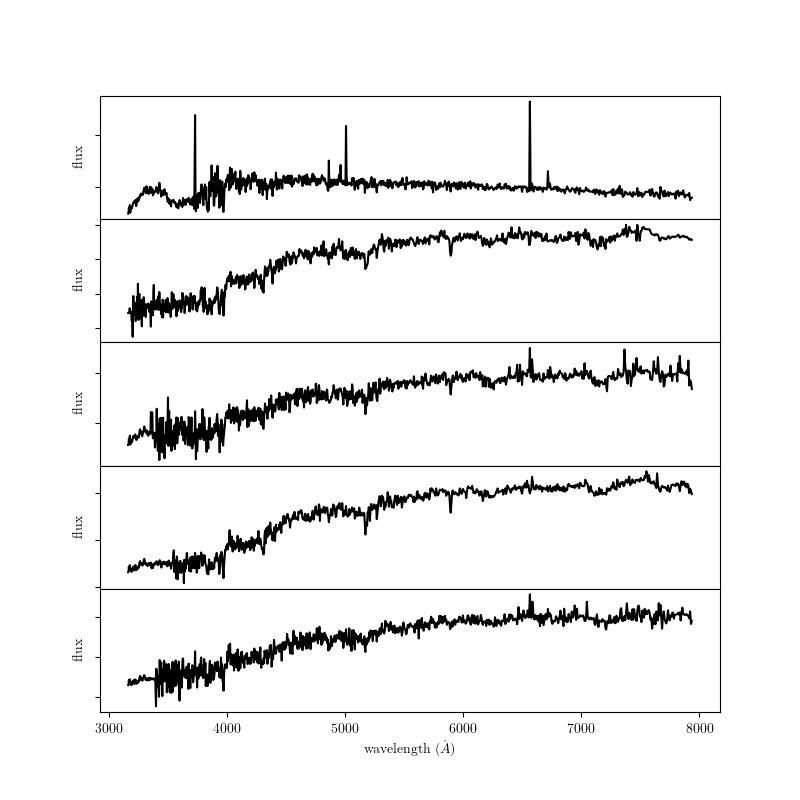 fetch_LINEAR_geneva() contains well-calibrated periods for a majority of these. 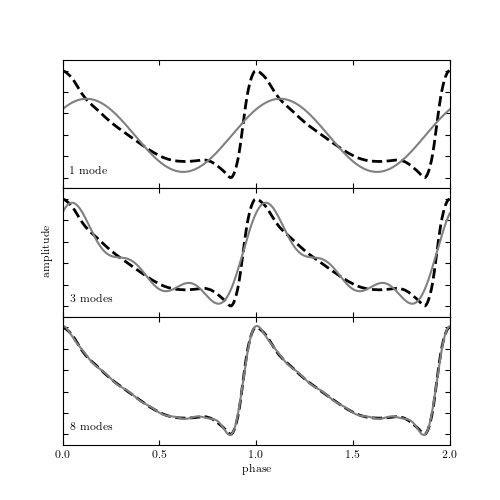 Phased light curves for six of the LINEAR objects can be seen in the following figure. 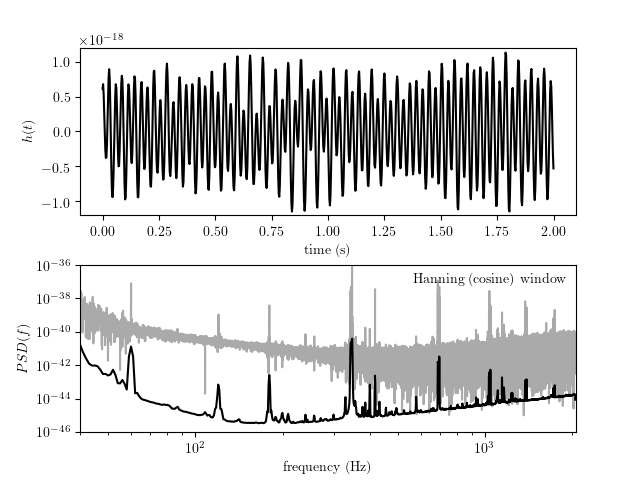 Here, the periods were found using a Lomb-Scargle periodogram. See chapter 10 of the text for a discussion of the mismatched period seen in the upper left object.